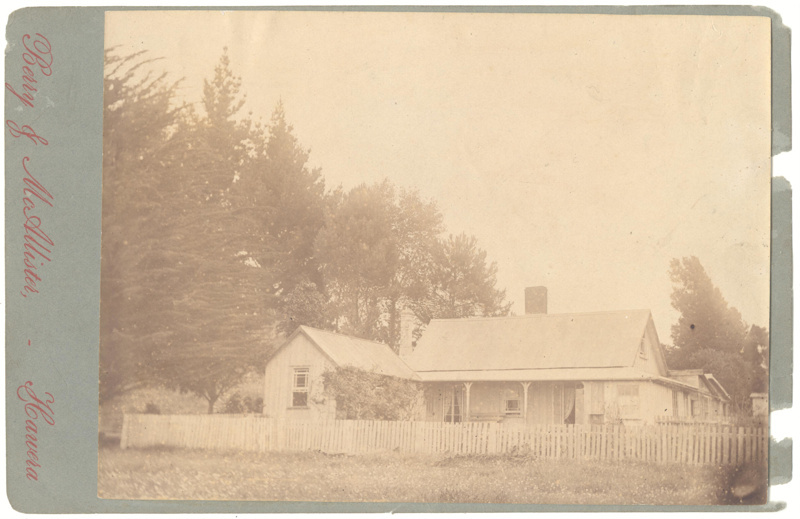 Photograph, 'Hurworth'; a sepia toned photograph depicting Hurworth Cottage, taken in 1894. The Cottage is depicted from the proper left, and shows a number of additional structures attached to walls which are no longer extant. The photographer is The photograph was mounted on grey paper backing, and was printed by the photography studio of 'Berry and McAlister, Hawera'. 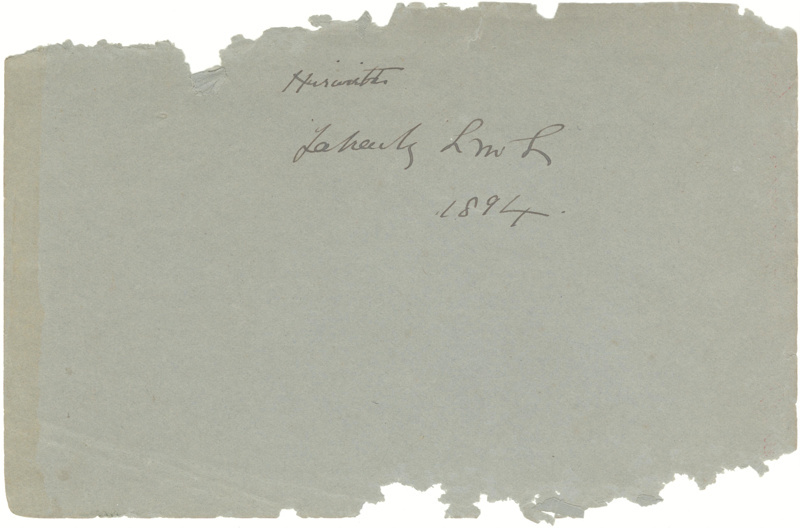 An accompanying piece of grey paper (loose) notes: "Hurworth / taken by LML / 1894". Sir Harry Atkinson died in Parliament buildings, Wellington, on 28 June 1892, and four years later Lady Anne Atkinson sold Hurworth to Joseph Crockett. By 1894, when this photograph was taken, the house looked quite different to when it had originally been constructed in 1855-56. A sitting and dining room had since been added, interiors re-decorated, and the roof shingles replaced with corrugated iron.